This post is by guest writer Justine Banal. It’s a classic scene out of a Japanese high school romance novel. Freshly fallen cherry blossom petals adorn the benches and walkways around the campus. 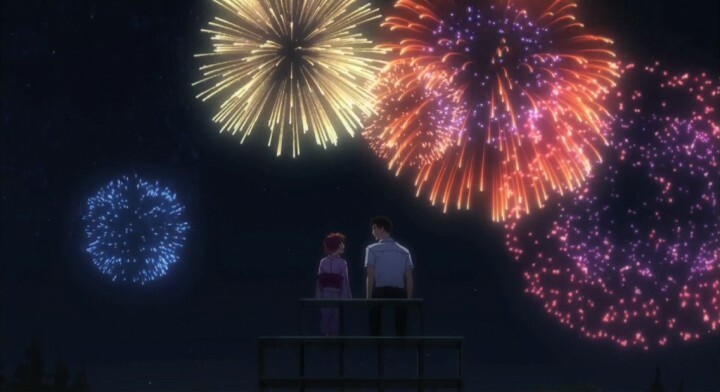 The school day has finally come to an end, and it’s the perfect time for female protagonist Sakura Chiyo to confess to the boy she loves. She’s been preparing herself for this moment all day, but when she stands face to face with him after pouring her heart out, she’s met not with a “no” or an affirmative “yes,” but with an autograph. As it turns out, Sakura’s love interest, Nozaki Umetaro, is a renowned shoujo manga artist and perceived her to be one of his many adoring fans — not exactly the happy ending one would expect. In fact, this anime as a whole is not exactly what someone would expect out of a shoujo anime. Through amplified character tropes and overt silliness, Gekkan Shoujo Nozaki-kun is a hilarious satire of shoujo manga that is impossible to watch without cracking a smile. The first three episodes are centered mainly around setting the scene and introducing the characters. We meet Sakura Chiyo, an energetic and bubbly high school student and the anime’s protagonist. In the first few minutes of Episode 1, she confesses her love to her classmate crush Nozaki Umetaro, the show’s title character. However, her nerves get to her and a potential “I love you. Please go out with me.” turns into “I’m your fan.” Nozaki, in turn, gives her his autograph and invites her over to his apartment. It is there where Sakura finds out that Nozaki is the author behind one of her favorite manga, “Let’s Fall In Love,” under the pen name Yumeno Sakiko. Nozaki invited her to his apartment to use her skills as an art club member to help complete his next piece. From the get-go, Gekkan Shoujo Nozaki-kun establishes itself as a light-hearted and fun anime. 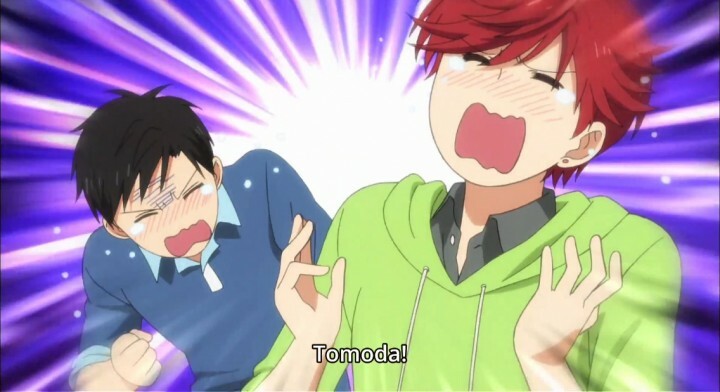 The first few episodes introduce the main characters who are literal embodiments of shoujo manga tropes: Mikoshiba “Mikorin” Mikoto, the flirt who becomes shy and embarrassed after making bold statements, Seo Yuzuki, the abrasive troublemaker with a secret soft side, Kashima Yuu, the princely type that makes all the girls swoon, and Hori Masayuki, the eldest of the bunch and the doting parental type. In shoujo anime and manga, each of these tropes is associated with a specific gender. For example, the abrasive troublemaker archetype is typically associated with male characters while the shy type is typically associated with female characters. In Gekkan Shoujo Nozaki-kun, these “gender roles” are flipped. ​Princely heartthrob Kashima, for example, has all the girls in school pining after her when she’s a girl herself. She and the other “living tropes” inspire characters in Nozaki’s manga. Episode 4 in particular touches on differences between male and female perceptions of romance. 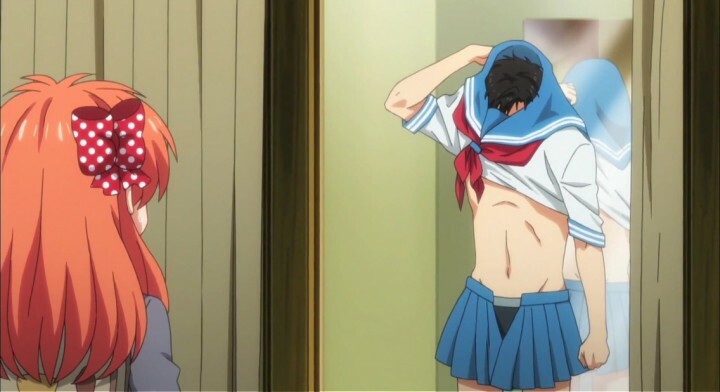 Nozaki and Mikorin play a dating simulation video game where the goal is to get a date with one of several female characters, and Nozaki quickly realizes that this high school love story is very different from those in shoujo manga. For example, at one point, one of the female characters asks the game’s protagonist if something’s wrong and tells him he can talk to her about anything; this prompts a choice to either hold it in, vent, or smile. Nozaki notes that the female audiences that read his shoujo manga love it when the male protagonist shows vulnerability and expresses his feelings. However, when he chooses to vent in the game, he loses points and the female character calls him “petty.” Since the game is geared toward male audiences, this instance notes the different perceptions toward expressing emotion from both respective genders. This example combined with the “genderbent” shoujo manga tropes explore how masculinity and femininity are socially constructed, a serious topic seamlessly woven into the light-hearted humor. These episodes offer more of an insight into Nozaki’s career as a shoujo manga author and what it takes to get a draft ready for publishing, from dealing with different types of editors to exploring amusement parks to find inspiration for the next issue. We also see more of how each character contributes to the manga’s final product. Sakura, for example, uses her experience in the art club to help with the beta while Hori’s set design expertise comes in handy for drawing backgrounds. We are also introduced to Wakamatsu Hirotaka, a shy first-year student on the basketball team that helps Nozaki by adding screentones to the manga. His team plays against the girls’ basketball team where he encounters Seo’s violent playing style centered around injuring the other team rather than scoring points. This stresses him out and, in turn, makes it difficult for him to fall asleep. 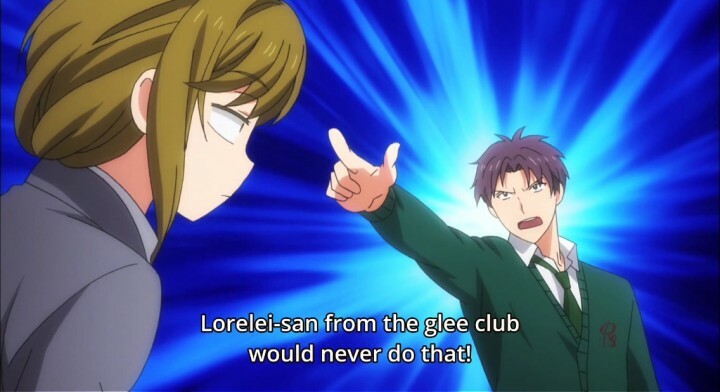 That is until he hears the beautiful voice of “the glee club’s Lorelei” on Nozaki’s radio. At one point, he confronts Seo about her abrasive behavior and says she should be more gentle and kind like Lorelei. Unbeknownst to Wakamatsu, the voice that relieved him of his stress belongs to Seo, the one who caused it. We also see how much of an influence manga has had on Nozaki’s life; he can’t enjoy a day off without finding a way to work on manga. In episode 7, he spends the day with Sakura and turns normal activities like shopping for clothes and going out to eat into photo ops for references. At one point, he and Sakura go watch a movie called “School Destruction” just so he could see all the different angles of a school building he plans to draw in the manga. He even tries on women’s clothing to find ideas for his female protagonist’s outfits. Though these episodes maintain the silly sense of humor of those that preceded them, as a unit they lack the over-the-top hilarity seen in the previous episodes. While still fun to watch, the funny moments were not as memorable as those from earlier in the anime. In these five episodes, the viewers get to know and grow to love the cast of supporting characters. These episodes reveal some of their personality traits and reintroduce them to the audience in a hilarious way. 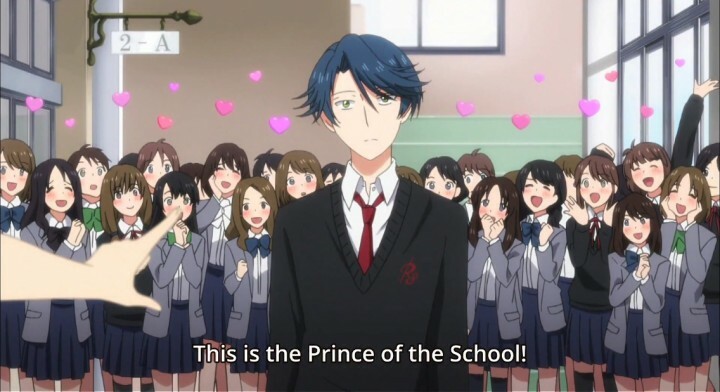 For example, the audience gets to see the extent of Kashima and Hori’s love/hate relationship in Episode 8 when Kashima mistakes Hori’s fixation on “Let’s Fall in Love” for him wanting to be a princess. ​She spends the entire episode using her princely charm to give Hori the royal treatment. At one point, she volunteers to be Hori’s noble steed and carries him to the infirmary when he falls during rehearsal. 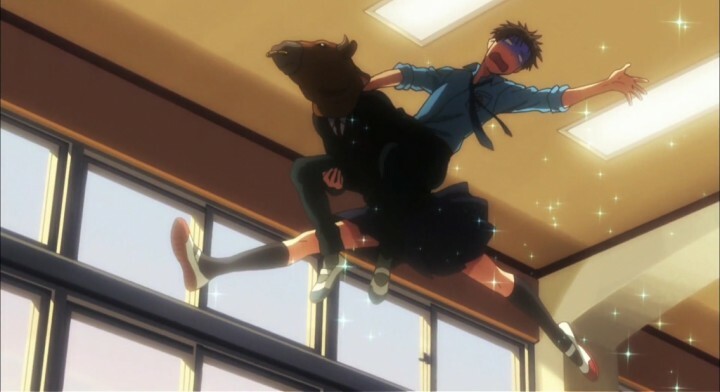 The drama department didn’t have any horse costumes, however, so when Hori regains consciousness, he finds Kashima giving him a piggyback ride while wearing a bull mask. Though Hori, as usual, reacts to Kashima’s “harassment” violently, he later admits to Sakura and Nozaki that he has a soft spot for her. These episodes also bring back the “shoujo tropes with a twist.” This time, the writers took classic shoujo manga scenarios like movie dates and high school summer festivals but tweaked them slightly to make them unique and humorous. 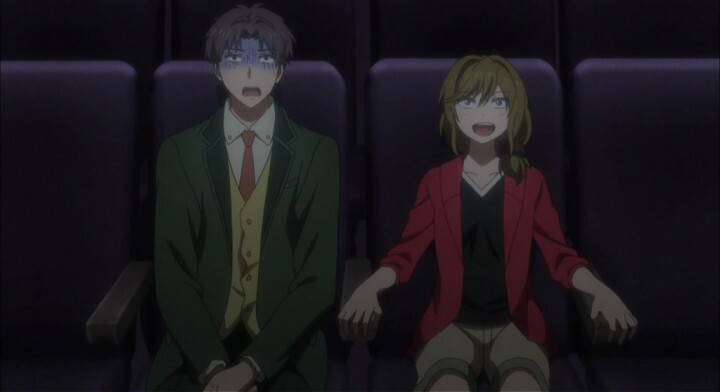 For example, Wakamatsu and Seo go on a movie date for the sake of inspiration for a scenario Nozaki is working on. Wakamatsu continues to be intimidated by Seo’s ​violent and abrasive tendencies, like how she identifies with the movie’s evil villain and recounts all of the gory scenes in vivid detail. 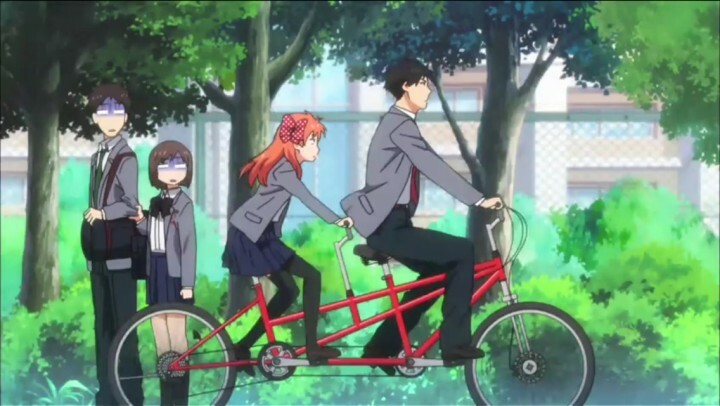 Gekkan Shoujo Nozaki-kun is hilarious and keeps viewers happy and laughing from beginning to end. 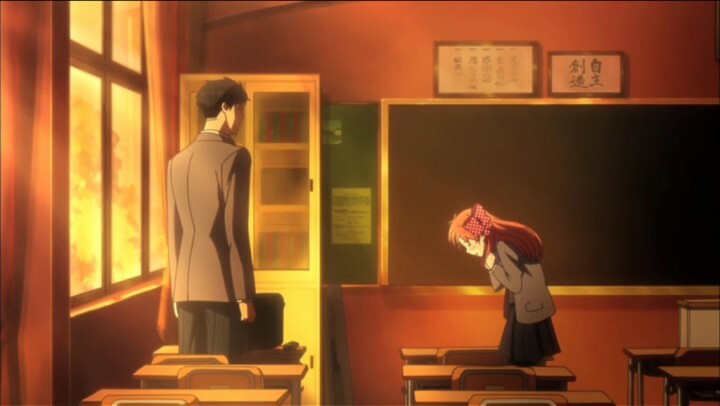 ​Though Gekkan Shoujo Nozaki-kun parodies shoujo manga archetypes, it can still be categorized as a romance anime because of the romantic undertones of Nozaki and Sakura’s relationship. However, it sets itself apart from others in the romance genre with the way it balances romantic plot with comic relief. 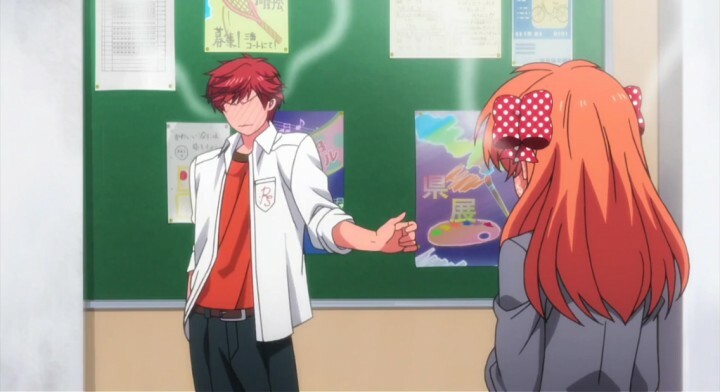 Most romance anime are mainly romantic plot with comic relief sprinkled throughout while in Gekkan Shoujo Nozaki-kun, the comedy is the driving force. The types of jokes and dialogue used in the anime are borderline stupid and leave the audience asking themselves how in the world the writers came up with this. However, it’s hilarious nonetheless and keeps viewers happy and laughing from beginning to end.